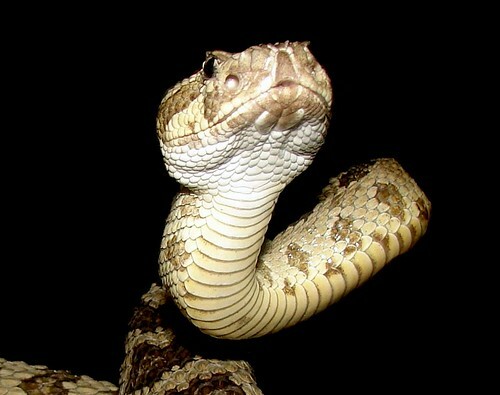 A southern Idaho man who authorities say had 25 Western rattlesnakes in his apartment at the Sunset Motel in Malta has been issued two misdemeanor citations by the Idaho Department of Fish and Game. Thirty-eight-year-old Terry Brian Teeter received the citations in May that list possession, transport or shipment of wildlife. Officials say Teeter had as many as 32 snakes but he gave some away and cooked and ate two others. Teeter says he was unaware a license is needed to hunt rattlesnakes in Idaho, and that there is a limit of four rattlers a year. Teeter tells The Times-News that authorities confiscated the rattlesnakes and released them, but the next day he and a friend found the snakes and killed them. Teeter has a sentencing scheduled on Friday in 5th District Court on a possible plea agreement. "Little Guy" says,, originally uploaded by EcoSnake. Idaho Fish and Game has changed the rules pertaining to rattlesnakes. Until last week native rattlesnakes were classified as “protected non-game wildlife,” meaning as with all other native amphibians and reptiles, among other things, they could not be killed. Now the rule reads: ” Allow collection (read “killed” comment added by Frank) and sale of up to six rattlesnakes a year; a hunting license is required and only four snakes may be in possession at any time. ” Idaho has taken a giant leap backward. The potential harm to rattlesnakes and their ecosystems is scary, and once again, Idaho will rank in the bottom among the states for protection of wildlife.